Fewer things are classier than the convertible car, from which our Front Open Box takes its cue. With a lid that seals on its front and peels back to reveal the interior, the Front Open model rethinks the classic opening procedure and trades it in for the newer model. It’s not all about flash. The Front Open Box’s upright position makes it ideal for holding folders, files, or any product that’s easier extracted from above. The deep well holds larger products while giving both a top-down and frontal view for an elegant presentation. 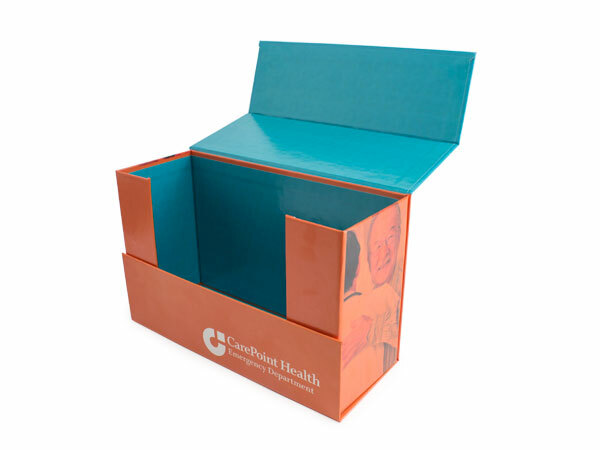 Our Front Open Box is popular for both retail and promotional purposes. As a sales kit, it offers a luxurious reveal that spotlights high-end products. A box that truly gets noticed in the retail arena, providing sophisticated storage post-purchase. 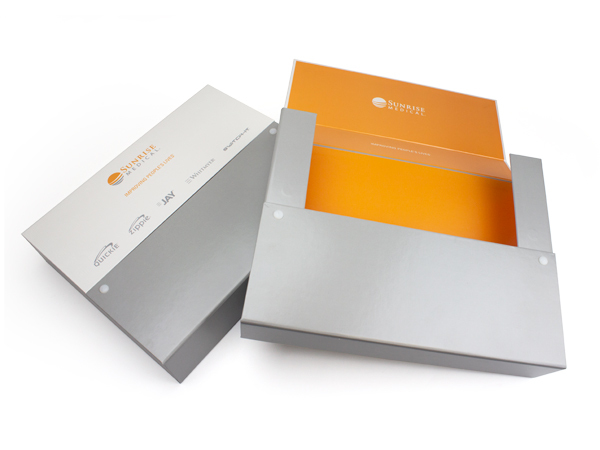 As a promo kit for businesses and organizations, it provides a professional presentation of print materials, beautifully organized and easily accessed.